Wish Jump 2019 | This ain't no bake sale. Hello and welcome! The planning for Wish Jump 2019 is now underway! But, first things first. Before we begin putting together the Wish Jump 2019 team, we await the exciting details from Make-A-Wish Northeast New York about the wishes that were made possible from funds raised by Wish Jump 2018. As soon as we have that information we will share it here and on our Facebook page. It’s important to us that our wonderful donors know that when we say “wishes come true because of you” we mean it! Please stay tuned for wish details to come very soon. 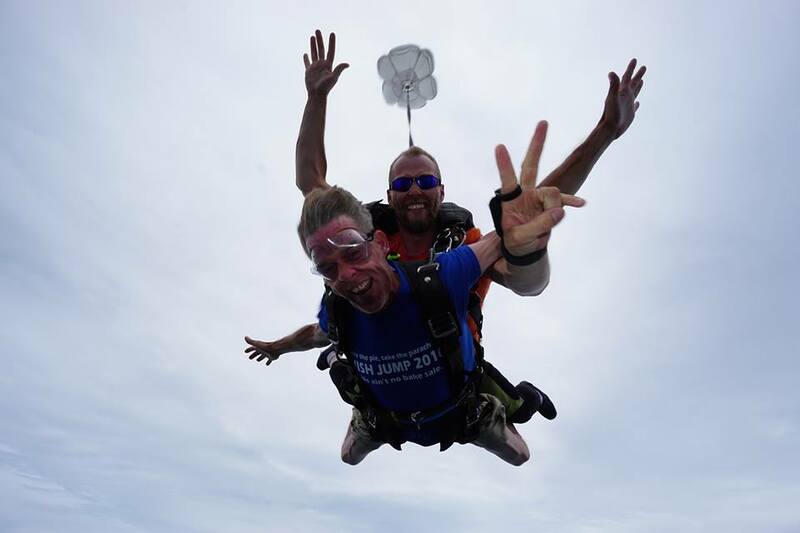 Wish Jump 2019 is the ninth annual skydiving fundraiser for Make-A-Wish Northeast New York. Since it began in 2011, over $250,000 has been raised and used by Make-A-Wish Northeast New York to fulfill their mission of granting wishes to children with critical illnesses who live in the 518 region. If you are interested in being a Wish Jumper in 2019, please contact Mary Kenney at wishjump@gmail.com.